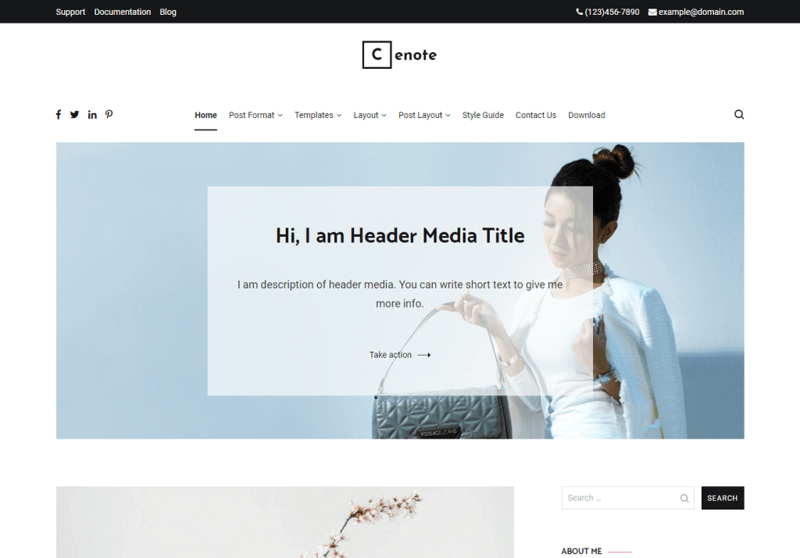 Cenote is awesome, modern and clean WordPress blog theme. Cenote is easy to setup and it has a multiple features which will make your site stand out. By Cenote theme you can create personal, fashion, food, travel, business, professional, niche and any kind of blogging sites. Cenote is Comes with various demos for various purposes. you can easily import these demos with the help of ThemeGrill Demo Importer plugin. Cenote is device friendly WordPress blog theme which will be fit in all type of devices.